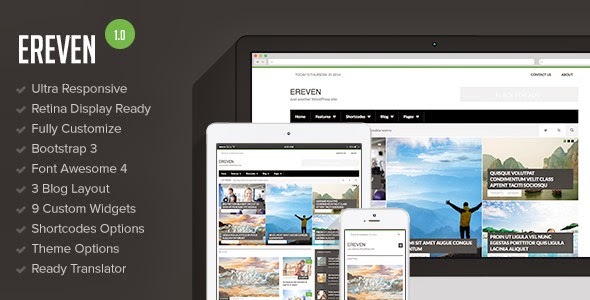 Ereven is clean, responsive and retina display ready WordPress Theme for blogger with magazine style. You can create and publish your content with post format support, review features, 20+ customize short codes, no need more coding or something else. Item Reviewed: Ereven - Responsive Blog Magazine WordPress Theme 9 out of 10 based on 10 ratings. 9 user reviews.